So Hum was named to honor the sound and power of the breath. 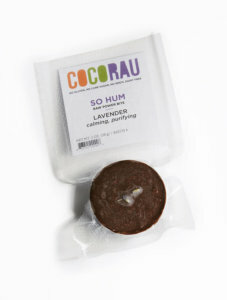 We use organic lavender essence for its calming effect, plus the joy of cacao makes a wonderful combination. Every bite gets handmade and vacuum packed for the perfect way to store Raw Cacao Super Food Bites. With any discrepancies please let us know in the next 24 hours after receiving the merchandise. We ship our Power Bites only overnight with special packaging depending on the temperature.